Situated on the ascent of the Iseran Pass, the world’s highest paved road which leads to popular ski retreats of Tignes and Val-d’Isere is Sainte-Foy Tarentaise. Known to a privileged few, this hidden gem offers tranquil slopes and unrivalled off-piste routes in a natural setting which is enjoyed by skiers and snowboarders alike. 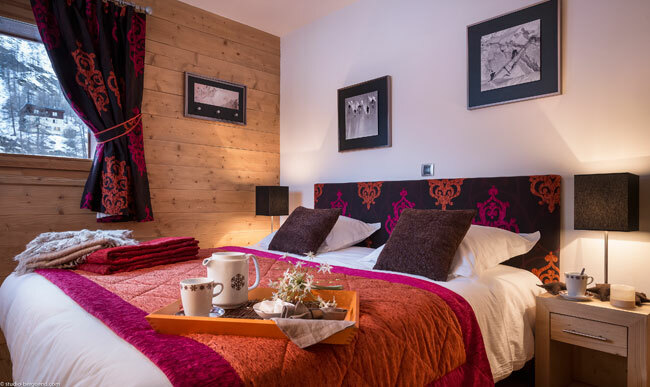 Sainte-Foy is the youngest of the Haute-Tarentaise resorts, where development began just over two decades ago, yet it retains plenty of authentic and unassuming alpine charm. Leading developer MGM French Properties has contributed to the growth of this boutique destination including part of the village centre. 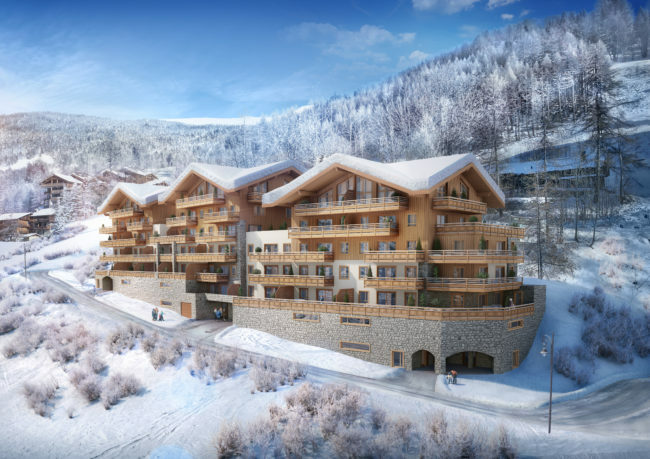 Les Fermes d’Eugenie is MGM’s latest addition to Sainte-Foy, offering 48 ski-in apartments which are centrally located for immediate access to the shops and slopes. The properties are available for outright purchase starting from €260,000. Apartments in Les Fermes d’Eugenie range from two to four bedrooms. 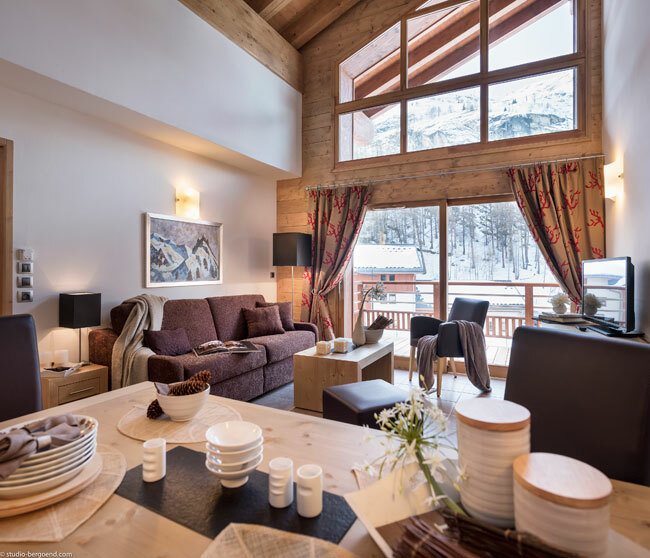 Each apartment comprises an open-plan living area with plenty room for a lounge and dining table, making for an ideal space to to unwind after long day on the slopes. Natural light floods the communal area through large french doors which lead onto a private balcony, where views of the village or Valley of Mont Pourri opposite can be enjoyed. Home-cooked meals can be prepared in the fully-fitted kitchens featuring black granite worktops and the latest intergrated appliances including a fridge/freezer, dishwasher and microwave. Bathrooms also come fitted with vanity units and offer heated towel rails, watersaving and thermostatic taps and a dedicated space for a washing machine. Each apartment in the development also comes with a private parking space and a ski locker located on the ground floor of the development. The skiing and snowboarding at Sainte-Foy has something for everyone at all levels and abilities. Its north-west positioning makes the snow quality exceptional and means that off-piste powder lasts for days after snowfall. Sainte-Foy comprises two green, seven blue, eleven red and four black runs, which all lead directly back to one station, perfect for families as no one can get lost. Beginners benefit from wide runs which are open and quiet, all the more space for improvement. The resort is unique in the sense that even during peak season it remains peaceful with uncrowded pistes thanks to its low capacity. Sainte-Foy is only ever busy when skiers from the big resorts descend to the sheltered tree-lined slopes when storms have closed lifts higher up. For more experienced or ‘purist’ skiers and boarders, Sainte-Foy’s pistes also offer long, steep runs and treeline skiing. There is a vast area of untracked powder slopes which make for some of the finest off-piste and cross-country skiing to be found in the entire French Alps. Experienced skiers can take a guided tour to explore one of the renowned off-piste routes to the deserted farming hamlet of Le Monal, or the infamous 1700 m vertical descent of the north face of Fogliettaz. The old village of Sainte-Foy is situated below the ski resort and is built from stone and wood in the Savoie style. Compared to many mountain villages and ski areas of France, Sainte-Foy’s original village remains unspoiled. It centres on a cluster of bars and restaurants, and there is also accommodation including a hotel and chalets. The ski resort sits high above at 1550m and has been built in a sympathetic style, paying homage to the aesthetic of the old village. Development of the resort began in the early 90s, it now includes a range of luxury apartments, tourist residences and chalets. Sainte-Foy remains generally on the smaller side with total accommodation for around 2,500 people. Additionally, recreational facilities have been developed in the resort including a gym and two spas with swimming pools, jacuzzis and saunas which offer massages and beauty treatments. Sainte-Foy’s resort town also comprises five ski shops, two supermarkets, a delicatessen and a selection of restaurants. These include good on-slope dining spots Léon, Marquesas and Les Brevettes at the top of the Grand Plan chairlift. 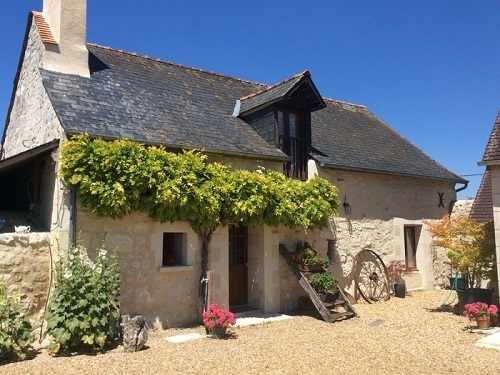 La Maison a Colonnes is a beautifully restored 16th century farmhouse with at the foot of the pistes. It serves local delicacies such as raclette and has a superb south-facing terrace with breath-taking views of the mountains. With only two bars, nightlife in Sainte-Foy is minimal in comparison to its larger neighbours’ après-ski, making it popular with families and those looking for a revitalising ski experience. 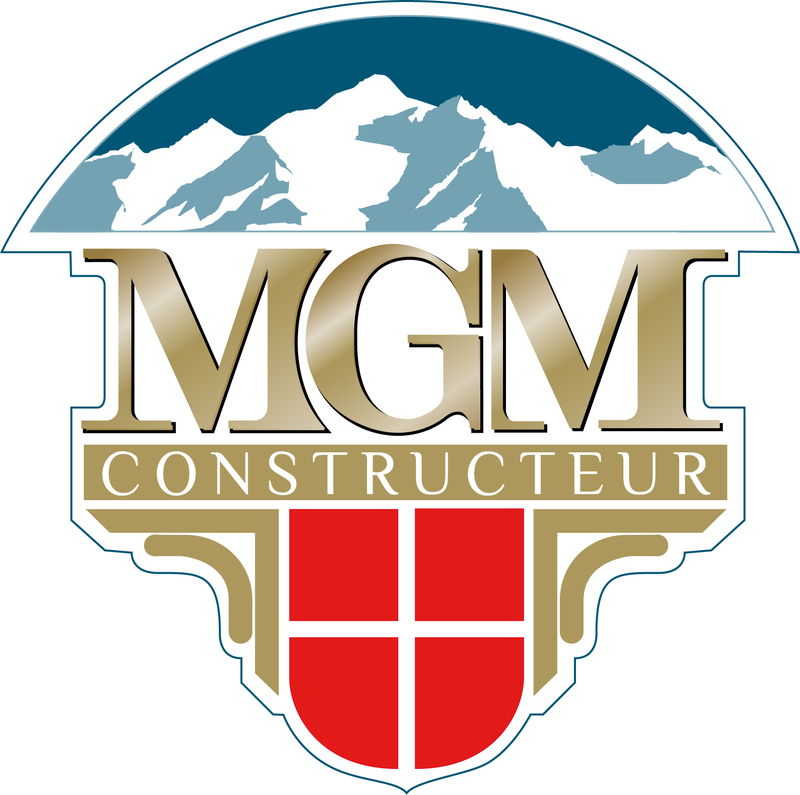 Richard Deans, Sales Manager at MGM French Properties, comments: “Les Fermes d’Eugenie is a fantastic opportunity to purchase a ski residence in the heart of a and peaceful resort. Sainte-Foy is perfect for families with small children as all the ski runs lead back to the main station. In addition, the resort is quieter both on the pistes and in the town thanks to the small accommodation capacity, giving learners more room on the slopes and everyone else less time to wait at chairlifts.